Just over a year ago, we looked at how long someone may have to challenge your Will through a claim under the Inheritance (Provision for Family and Dependants) Act 1975 (IPFDA). We explained how this is often a difficult question to answer, as although there is a 6-month time limit in which to bring an IPFDA claim, a court can give permission to allow claims after this period has elapsed. Whether a court will or will not allow an IPFDA claim to be brought ‘out of time’ can be uncertain. Unfortunately, two recent cases seem to have made this even more difficult to predict. Cowan v Foreman  EWHC 349 (Fam) – where the court refused permission for an IPFDA claim made 17 months after the deadline, even though the parties agreed they would not take issue with the delay. Bhusate v Patel  EWHC 470 (Ch) – where the court granted permission for an IPFDA claim made 25 years and 9 months after the time limit had expired. At first glance, these results could lead you to believe out-of-time IPFDA claims are something of a lottery – that no matter how much time passes, your Will could never be truly safe from an IPFDA challenge; or that if you are looking to make a late claim, you have no chance of predicting your chances of success. To some extent, this last point is true. If you are considering making an IPFDA claim, it is always much better to begin the claim within the time limit. However, to dismiss these decisions as random, or the whims of particular judges, is to oversimplify things. It is worth looking at these decisions more closely to see if there is anything we can learn from them. In very broad terms, the IPFDA allows someone, who depended on a person who has died, to claim ‘reasonable financial provision’ from that person’s estate. 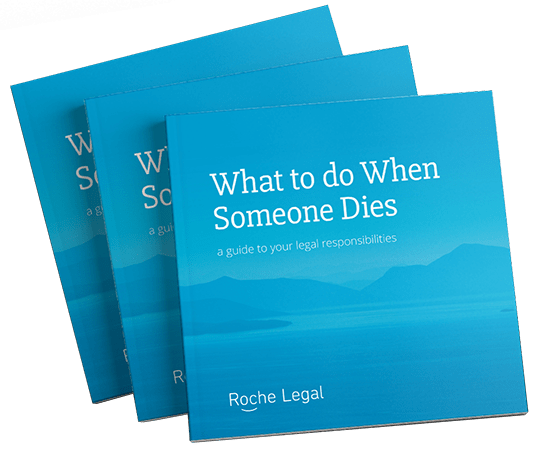 A claimant might do so because they were not left anything in the Will (or not as much as they expected) or because there was no valid Will and the intestacy rules do not favour them. Where a Will does exist, IPFDA claims are sometimes seen as undermining testamentary freedom. In other words, altering how someone’s property is given away after their death, often against the wishes set out in their Will. Our factsheet on ‘Excluding someone from your Will’ explains more. The 6-month time limit for IPFDA claims starts running from the date at which a grant of probate is obtained, or, in the event that there are no validly appointed Executors, a grant of letters of administration is obtained. As mentioned above however, a court may decide to allow a claim to proceed outside of this 6-month period. In making their decision, they must follow a number of principles but there is a wide scope for the court’s discretion. More detail on these principles can be found in our earlier article. This case followed the death of Michael Cowan in April 2016. His estate was valued at just under £16 million. In his Will, he named his wife, Mary Cowan, as a beneficiary of two substantial trusts. Whilst she was one of several beneficiaries of these trusts, Michael left instructions to his trustees that she was to be considered the principal beneficiary and that they should provide her with income to meet her needs, supplemented with capital where necessary. The Will did not give her any outright gifts, however. Probate was granted in December 2016. The trustees agreed with Mary that she should receive regular monthly payments from the trust, starting in April 2017, at the sum of $17,250 per month (with a lump sum of $207,000 to cover back payments). These payments were later increased to $26,250 after her IPFDA claim had been started. As Mary was resident in the USA, these figures were valued and paid in US dollars. When Mary underwent a knee operation in October 2017, she requested that the trustees reimburse her for the costs of the post-operative treatment. The trustees asked for sight of invoices to “clarify the extent to which the [treatment cost] is not covered by the monthly budget”. Mary stated she was “horrified” by the request. Relations deteriorated and Mary commenced court proceedings for an IPFDA claim in November 2018, arguing that she had not been given reasonable financial provision by her late husband’s testamentary arrangements. This was 17 months after the 6-month time limit had expired (in June 2017). The court refused to grant her permission. The judge stated that there was no good reason for the delay. Mary attributed the delay largely to her lack of understanding over the nature of the arrangements her late husband had made for her. The judge did not accept this to be the case. In addition, the judge did not consider her case to have sufficient prospects of success even if permission to claim was granted. The trusts, of which she was a principal beneficiary, contained substantial sums and the Will instructed the trustees to “generously” consider requests for additional capital. The judge believed the trustees’ request for invoices following the medical treatment was reasonable and did not accept Mary’s contention that they had been acting contrary to Michael’s wishes. Interestingly, the trustees had agreed not to take issue with the lateness of Mary’s claim. They had agreed to a ‘standstill agreement’, which was intended to stop the time limit from elapsing for a specified period. However, the judge was scathing of this practice, saying, “It is not for the parties to give away time that belongs to the court.” Although the standstill agreement was not decisive as to whether the claim was out of time or not, the judge’s comments suggest courts are more likely to overrule these agreements if they are formed. The second case arose following the death of Kashinath Bhusate in 1990. He died without leaving a Will. He was survived by his third wife, Shanatabi Bhusate, as well as a child from his marriage with Shanatabi, Arvind Bhusate, and four children from Kashinath’s previous marriages. The estate’s main asset was a house in which Shanatabi lived with Arvind. Shanatabi and another personal representative of the estate were granted letters of administration in August 1991. However, the administration of the estate was halted after Kashinath’s children (Arvind excepted) opposed the sale of the house in 1994. After years of deadlock, Shanatabi brought several claims against the estate in November 2017. This included a claim for the ‘statutory legacy’ and a capitalised life interest in one half of the balance of the estate, plus interest. She also sought permission to make an IPFDA claim for reasonable financial provision from the estate. As Kashinath had died intestate, survived by a spouse and children, Shanatabi was theoretically entitled to the statutory legacy and life interest. However, her claim to capitalise the life interest was well outside the applicable 12-year time limit and failed. The provisions relating to this time limit do not include any room for it to be extended by the discretion of a court, unlike IPFDA claims. Shanatabi’s claim had very strong merits. After the failure of her claim for the capitalised statutory legacy and other financial provisions, she stood to receive nothing from the estate. Not only did this mean she had not received reasonable financial provision, it also meant she would be homeless – with no rights in the house – if her claim was denied. The extensive delays were found to have resulted from the opposition of the other prospective beneficiaries and their tactics of using the time limits as a way to deny Shanatabi her ability to claim anything from the estate. As far as Shanatabi had been responsible for these delays, the judge attributed it to her limited education and a poor level of English. Nonetheless, the decision is still surprising. To put it in perspective, the furthest out-of-time IPFDA claim allowed to proceed prior to Bhusate, involved a delay of 5 years. What can be learned from these cases? These cases are very different, but some broad themes can be identified. In Bhusate, the actions of the beneficiaries opposing Shanatabi’s claims clearly had a strong impact on the judge’s decision. He held those beneficiaries almost entirely responsible for the delay. Shanatabi’s part in the delay was attributed to a lack of understanding and difficulties due to poor English. In Cowan, Mary tried to put forward a lack of understanding as justification for the (much shorter) delays in the case. However, the judge preferred evidence which indicated Mary had been advised fully of her situation and of the deadline for any IPFDA clam. In further contrast to Bhusate, the trustees in Cowan had been much more accommodating, even agreeing the standstill agreement mentioned above, although this ultimately did not affect the judge’s ruling. The strength of a out-of-time IPFDA claim is one of the main factors a judge must consider when deciding whether to grant permission to proceed. Because IPFDA claims seek reasonable financial provision, a claimant’s current financial situation is significant. Mary Cowan’s claim was considered to have very low prospects of success, given that she was the principal beneficiary of two large trusts from a wealthy estate. Her difficulties centred upon her interaction with the trustees rather than a lack of provision under the terms of the Will. By contrast, Shanatabi Bhusate had much stronger prospects of succeeding with her claim. With the failure of her other claims, she had effectively received nothing from her late husband’s estate. Perhaps the most crucial aspect of these two cases was the availability, or absence, of other financial remedies. As the judge noted in Mary Cowan’s case, if she felt the trustees were acting contrary to her late husband’s wishes, she may be able to bring a claim against them for failing in their duties as trustees or for breach of trust. Shanatabi Bhusate, on the other hand, had already seen her other claims for financial provision rejected. If permission for her IPFDA claim had also been refused, she would have had no money from her late husband’s estate, no legal rights in the house in which she lived, and no other legal avenues to seek redress. Undoubtedly these are exceptional circumstances, and ones which the judge felt justified granting permission even in view of the exceptional delay. Within the legal framework of applications for out-of-time IPFDA claims, both cases contain plausible and justifiable decisions. The IPFDA itself does not contain any maximum limits on the exercise of the court’s discretion and it is very difficult to imagine this situation changing. To remove the court’s discretion would curtail the flexibility needed to consider the diverse situations of these cases freely. In allowing this discretion, it opens the way for more vague concepts (such as ‘what is right and proper’ and ‘natural justice’) to be given fair consideration; concepts which are no less important in law just because they are not easily defined. The downside, of course, is the resulting lack of certainty and predictability for people facing these problems themselves. One year on from our previous article on the subject and we are forced to reach the same conclusion: each of these cases depends greatly on its own facts. If you would like to discuss any aspect of IPFDA claims, please contact a member of the team.